If you're a marine mammal fan, today is a good day to pick up The Boston Globe. The Aquarium's own Jenny Montague is featured in the G-Force interview section. 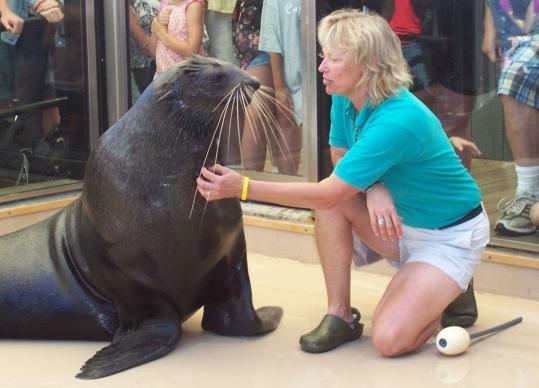 She's already written about how she got her start training marine mammals for this blog, but this interview has some new insights, such as who's Jenny's favorite seal to work with right now and a sneak preview of Jenny's upcoming Aquarium lecture. It's free and open to the public, but you better register here before it fills up!